Many handgun carriers prefer to wear an outside the waistband holster for two reasons: the sight of the weapon on the hip can often deter the bad guys, and it makes the gun more accessible, enabling a faster draw. High Noon Holsters is your one-stop headquarters for top-quality outside the waistband holsters, including our revolutionary Stingray. 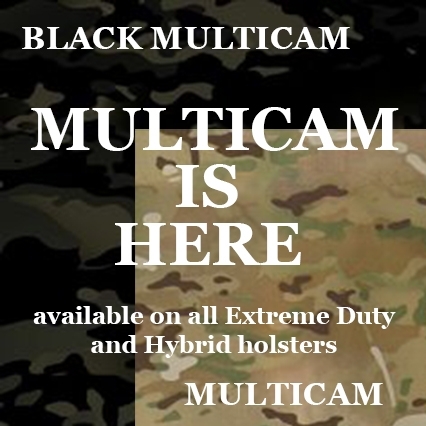 We can tailor this cutting-edge holster to fit all the popular handgun models from leading manufacturers, such as Kel Tec, Jiminez Arms, Colt, Magnum Research, American Tactical and many others. We have taken our most popular outside the waistband holster (OWB), the Slide Guard, used the latest in designing and craftsmanship and created the Stingray. Named for its aggressive appearance, the Stingray is made from the highest quality grain leather on the market. 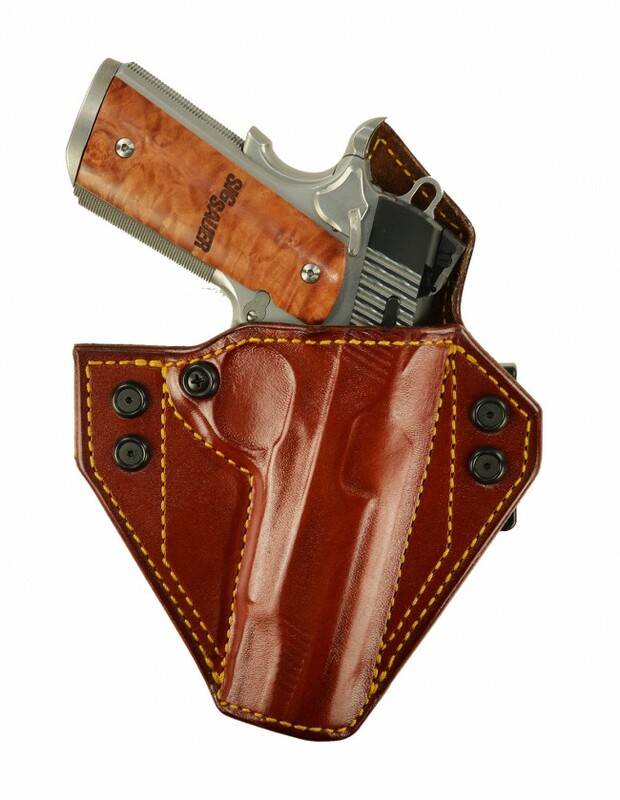 The detailed high definition pictures emphasize the leather quality and expert craftsmanship that go into the hand-making of each of these custom holsters. Just like its cousin, the Slide Guard, the Stingray allows for a faster draw and is custom molded to your gun. The Stingray is also a high ride, but we replaced the leather cutout slots with high-density poly molded belt loops – which make for a superior concealed carry holster. The Stingray features a slide guard which prevents the slide, hammer, and rear sight from wearer contact. It has double stitched seams, 15-degree forward cant, a covered trigger guard, open muzzle design and a tension screw for adjustment of the draw. 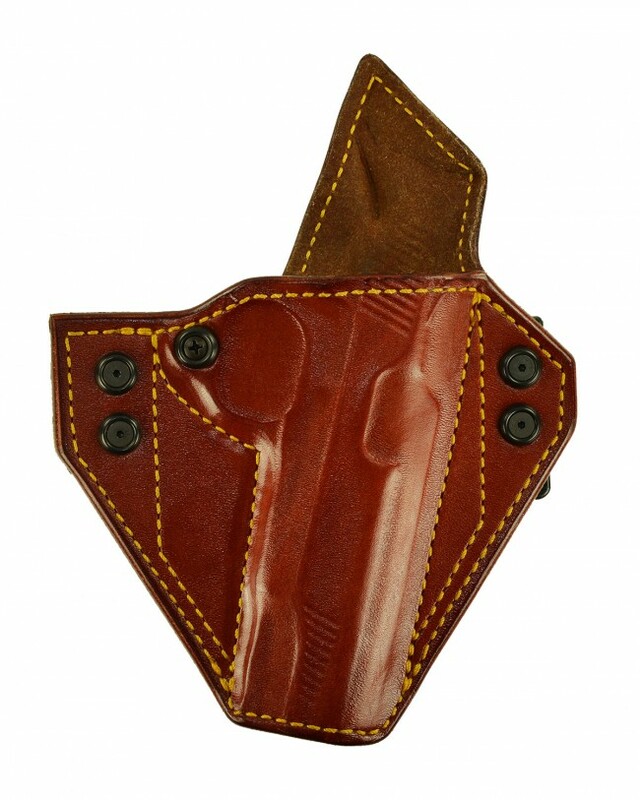 The recommended carry positions to wear this leather holster are 3, 4 and 5 o’clock. It is made to fit up to a 1-1/2" belt and is available in right or left hand. Colors in cowhide are tan, black, or natural finish. The Stingray also comes in horsehide and is offered in a black or natural finish. 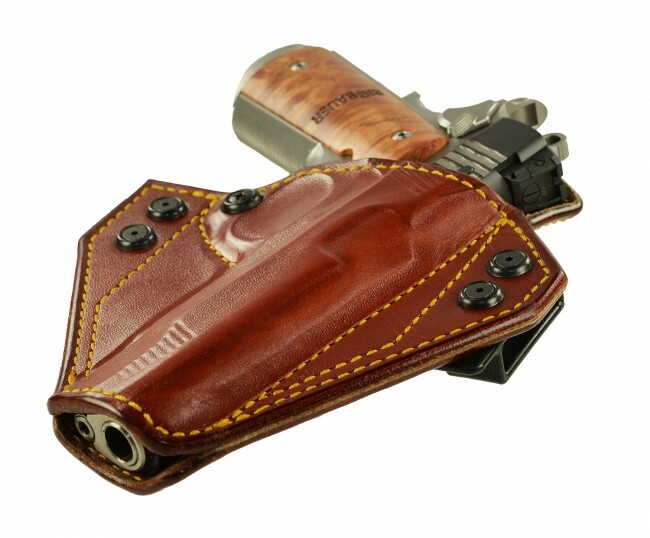 The Stingray is a custom-made holster, therefore, it is not a stocking item. 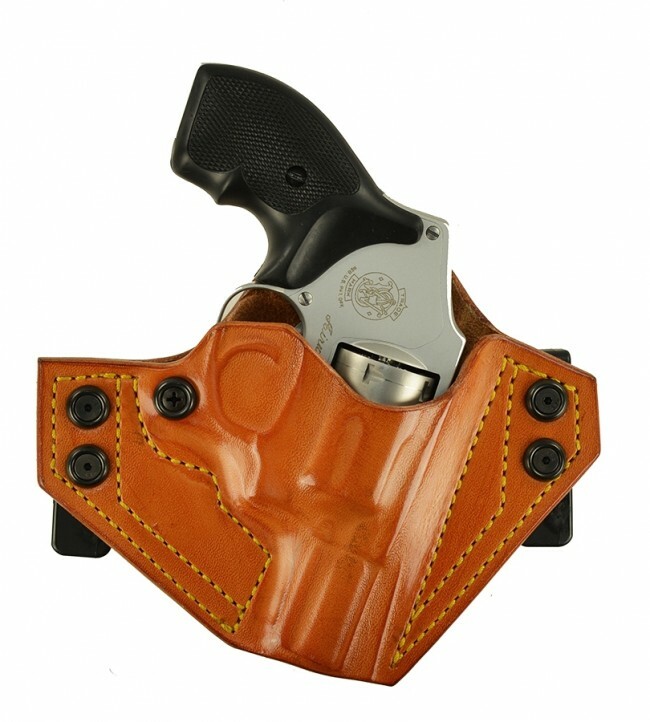 High Noon Holsters has been producing top-quality items like the Stingray holster for more than 20 years. We're known for the quality of our craftsmanship and the close attention to detail that goes into every product we manufacture. You'll also benefit from our world-class service. We continuously strive to achieve our goal of 100% customer satisfaction. 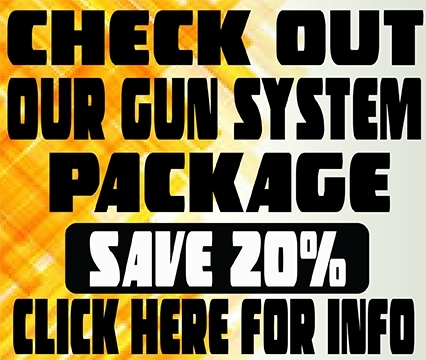 If you're tired of trying to navigate those confusing, disorganized websites, then you'll love shopping online at High Noon Holsters. Our revamped e-commerce site simplifies the process of buying goods online. You'll be able to find what you're looking for quickly and place your order securely. What's more, you can select from a variety of flexible payment methods including PayPal, American Express, Visa, MasterCard and Discover. Because we custom-produce the Stingray holster to meet your specifications, it is not available for immediate shipping — it typically takes a couple of weeks for a "non-stocking" item to arrive. However, this doesn't mean you'll have to wait an eternity to receive it! Many buyers take advantage of our rush shipping service, which allows them to have their holster in as little as 7-10 days. Order Your Stingray Leather Holster Today! 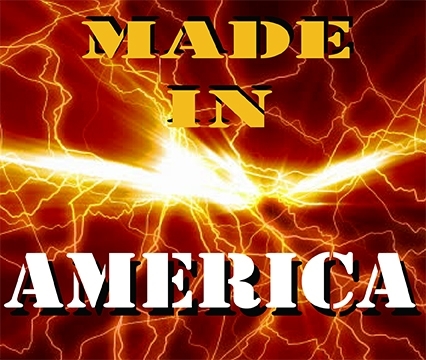 Experience the best in OWB holster design technology and craftsmanship. 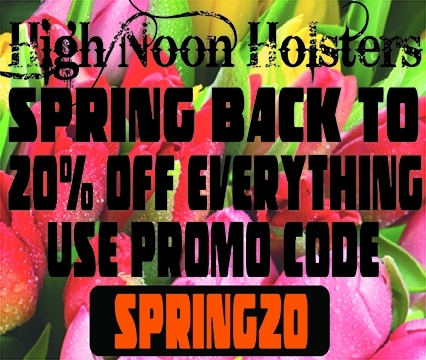 Order your Stingray holster from High Noon Holsters right now! If you have questions or need assistance, feel free to contact us by phone or email. Our friendly customer service team will be happy to help.